It’s hard to find someone who enjoys going to the dentist, but that doesn’t mean there aren’t students that dream of going to dental school one day. And it all starts with financing your way through dental school. Now, don’t get me wrong. There are important hurdles on either side of dental school. 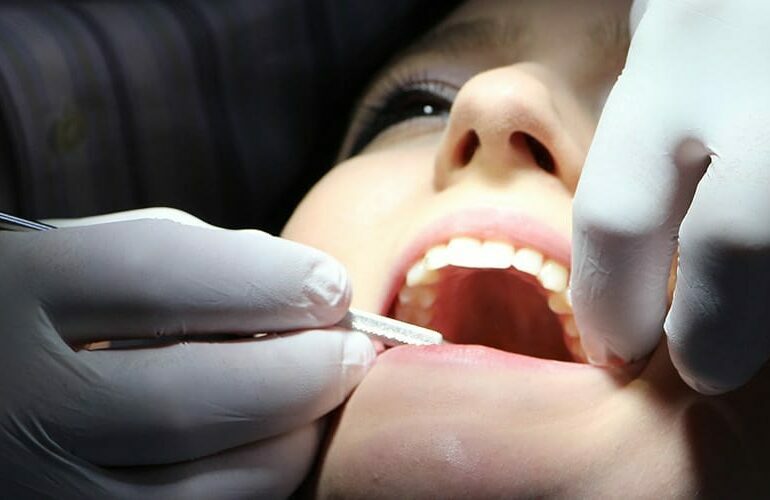 To qualify to pursue a Doctor of Dental Surgery or Doctor of Dental Medicine degree, students must complete a bachelor’s degree and pass the Dental Admissions Test (DAT). Then, once school is over, it takes a state license to be able to practice. Sandwiched in between are four intense years of study, without a lot of time to make money on the side or spend time worrying about finances. It can seem like a steep slope to many, but for dental students such as Kylee VanLaecken, it’s a risk worth taking for the career that sits at the end of the tunnel. VanLaecken is entering her fourth and final year at the Creighton University School of Dentistry, and didn’t hold back any punches about the effect of student debt on dental students. She said it’s “rather disheartening,” and that she and her fellow students don’t spend too much time focusing on the financial side of school because of that. There’s a reason that students do not dwell on the costs. Currently, each of the four years of school ranges between $97,720 (third year) and $99,576 (fourth), at least at Creighton. That includes around $20,000 for cost of living and transportation. It doesn’t include the thousands of dollars of books, the yearly ASDA dues, and around $7,000 a year in instruments. That means that over four years of dental school, a student could rack up more than $400,000 worth of debt just to pay for living and school expenses. And while it may not be consciously on the mind of VanLaecken and her peers, it’s something she said is important to adapt for. VanLaecken said that a financial plan should be apart of any lifestyle, and that having a plan for expenditures and other matters is wise to help minimize debt while in school. At the same time, she remains optimistic about what this opportunity means to her, and the effect it will have on her life and career. Once you’ve been accepted, getting a grasp of the financial situation is the next step. VanLaecken said that financing options for dental school are pretty much the same for all educational loans, but that there are typically fewer options for “free money” via scholarships and other awards. It’s also important to understand the interest and details behind loans for dental school. As unsubsidized federal loans, interest begins accruing from the time the loan is dispersed, and VanLaecken said it is important to understand all of these details are important to understand when sizing up dental school. With the end in sight, she is now exploring options for consolidating her loans with her husband’s, also from dental school, as they make plans for next. Whether it’s establishing a family and life in a community, buying a house or even saving money to invest in a practice, VanLaecken said she is excited about planning for life after dental school with graduation just a year away. And it all started with taking the “risk” of paying for dental school.